As we know that at Pre- Primary Witty curriculum is always blossoming with new thoughts, ideas and innovative implementation of concepts. 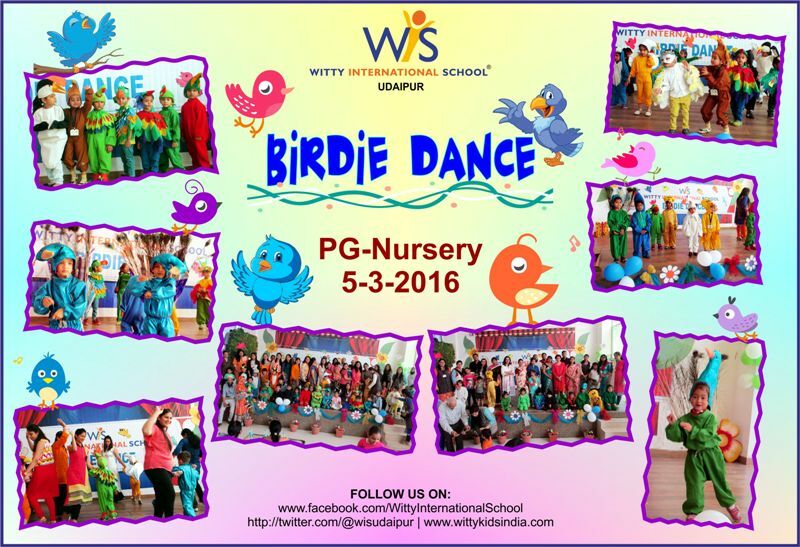 Today, Saturday, 5th March 2016 was a very enthusiastic day for the parents of PG and Nursery Wittians, as they had witnessed the little wittians enacting as a bird and performing a Birdie Dance. The students came dressed up in the attire of Peacock, Cuckoo, Pigeon, and Crow etc. 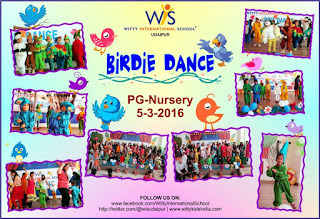 The theme event Birdie Dance was a better meinforcement of the concept of Birds. The activity was enjoyed by both parents and the child. It was nice to see the parents performing the activity along with the students.